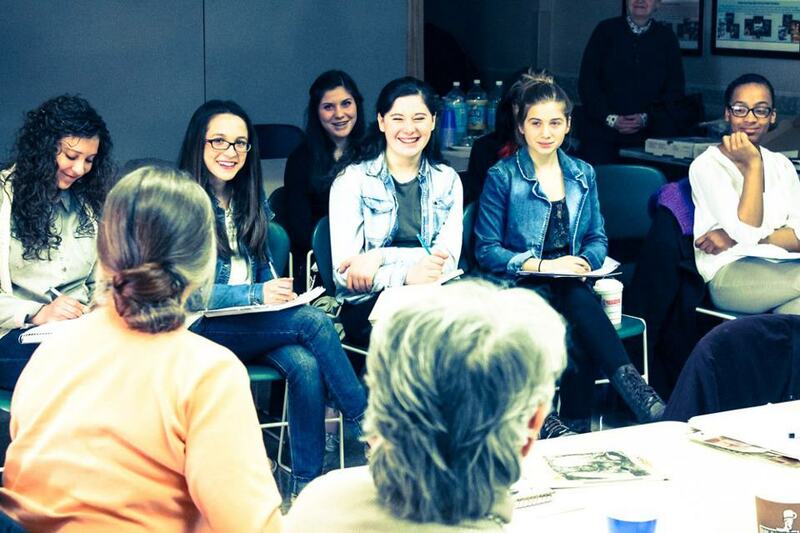 I was invited to meet Noelle Gentile last month when she was auditioning women for roles in her upcoming theater project. When I showed up to audition, all I knew about the project was it involved female veterans, and all I knew about Noelle was that a trusted friend boasted her as a talented visionary. Before meeting Noelle, I was disturbed by the American people’s disconnect from our soldiers and our wars. We are unaware of what our soldiers endure during active duty and afterwards as veterans. Beyond that, we don’t consider how difficult it is for women in the military to survive in a male-dominated world. I was urgently aware that veterans, particularly female veterans, are living unseen and in deserved need of recognition and assistance. I hoped I had found an opportunity to connect with this in-need population. 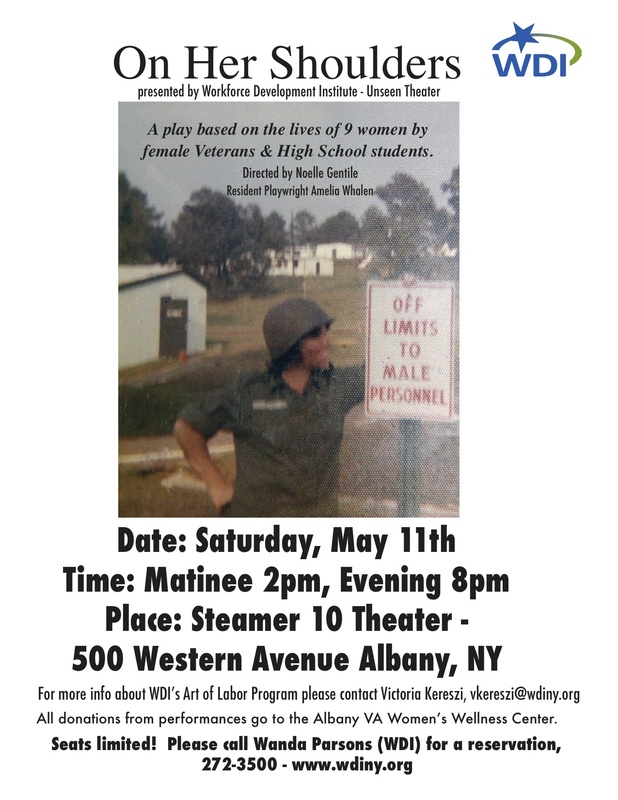 Noelle aspired to bring female veteran’s untold experiences to life on the stage. She planned to work with a group of veterans to learn about their experiences, and a group of high school students to open an intergenerational dialog to use in a stage performance. Immediately, I knew this was a grand opportunity for all involved: a chance to work for a noble cause while creating art! After contacting willing veterans and selecting a cast, Noelle invited us all to meet at the VA where she led a workshop for the veteran women to write and talk about their lives and insights. I hoped listening to these women would offer them a service. I hoped simply being heard would offer support and catharsis for them. The women I met are bright, inspired and open. They chose to serve in the military based on a desire to help and to make a difference. They have had exceptional—often traumatizing—experiences. Their voices, their ordeals and adventures, their impressions and sentiments were a staggering gift to the cast. The session at the VA was valuable beyond measure. The veterans were generous with their time and in sharing themselves. They spoke with a raw honesty. Their words painted vibrant images that captivated the young actors. In turn, the casts’ insights and curiosity complimented the veterans’ reflections. The veterans’ memoirs ranged from light and amusing to heart-wrenchingly traumatic. It’s been an absolute privilege to transcribe the women’s accounts to script. Their strong characters shine through their words to create beautiful art. In rehearsal, the actors ooze affecting commiseration. The On Her Shoulders ensemble is impassioned. We are melding our wide-ranged perspectives to present the veteran women’s plights on stage. It has become our duty to honor these women and extend the gift of their testimonies to the audience. On Her Shoulders promises to contribute to bridging the gap between female veterans and the rest of us. The stage will close this distance and remind us we are the same; we are all people struggling with and celebrating the human experience. Amelia Whalen is the author of true-life adventure stories. She is working to finish a memoir titled Everything You’ve Ever Done. On Her Shoulders is her first effort as a playwright. Amelia is honored to be part of such an inspiring ensemble. This entry was posted in Uncategorized, Women in the Military and tagged amelia whalen, female veterans, feminist events, noelle gentile, on her shoulders, she breathes, theater, wdi, women veterans, women vets, workforce development institute. Bookmark the permalink.